State Regulation – What's in Your Mouth? 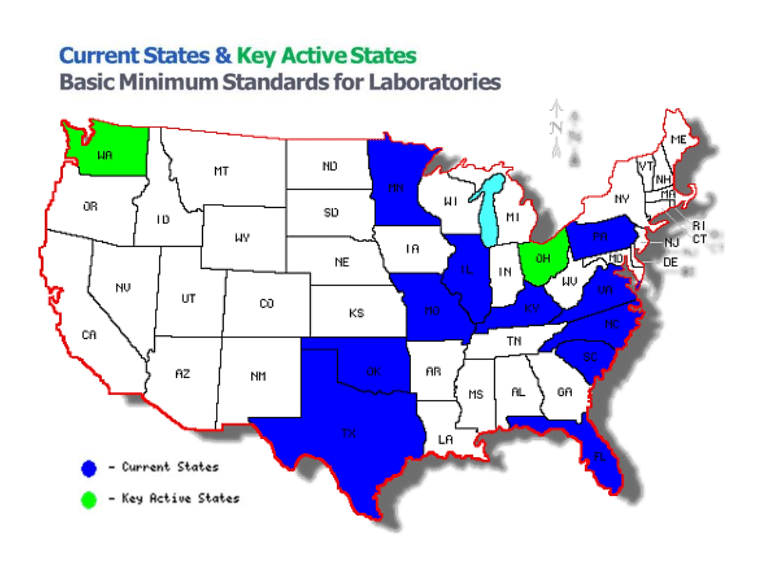 In a 2009, American Dental Association member survey, nearly 65 percent of dentists responded that they believe dental technicians and laboratories are regulated in their state. This is not the case. In fact, only four states in the United States require either certification or continuing education. 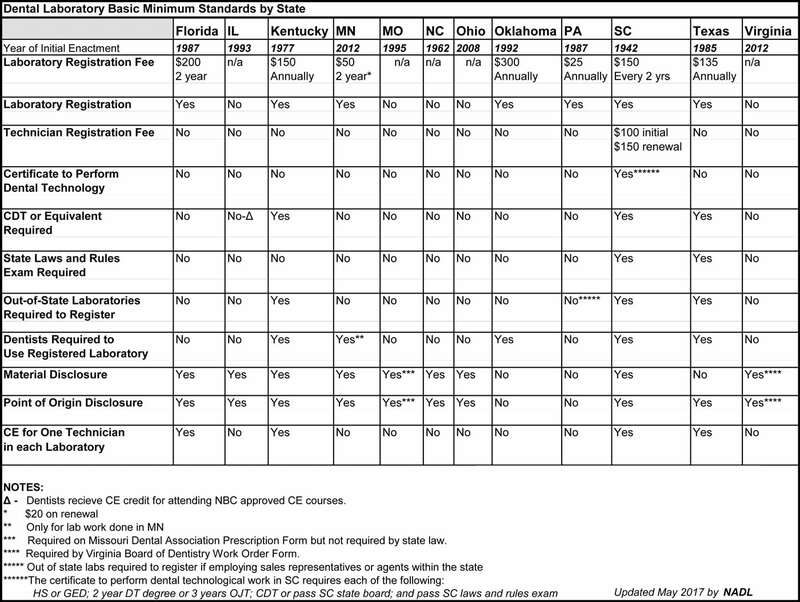 Contact your state’s Governing Board of Dentistry – click here. Dentistry has seen a proliferation of new technology and materials. As a result, dentists now more than ever rely upon the skills of a qualified dental technician to assist with material selection and case planning. It is not uncommon for a dental technician to work directly with the dentist in an office setting to meet with patients. It is important for the dentist to have complete trust and confidence in their technicians’ skills and knowledge. Working with a Certified Dental Technician (CDT) is a great way to ensure success. Primary requirements include: lab registration, material and point of origin disclosure, one CDT for each lab or required continuing education (CE).